Unraveling how a mutation can lead to psychiatric illness ~ Health Matters Today! In recent years, scientists have discovered several genetic mutations associated with greater risk of psychiatric diseases such as schizophrenia and bipolar disorder. One such mutation, known as DISC1 — an abbreviation for “Disrupted in Schizophrenia-1” — was first identified in a large Scottish family with high rates of schizophrenia, bipolar disorder and depression. Studies have since shown that DISC1 mutations can lead to altered brain structure and impaired cognition, but it was unknown exactly how this occurs. A new study from Li-Huei Tsai, director of MIT’s Picower Institute for Learning and Memory, shows that DISC1 mutations impair a specific signaling pathway in neurons that is critical for normal brain development. In a genetic screen of 750 people — some of whom were healthy and some of whom had psychiatric diseases — the researchers found several common variants of the DISC1 gene. However, even though these mutations disrupted normal brain development, they were not necessarily enough to cause disease on their own. The study will appear in the Nov. 17 issue of the journal Neuron. Lead author of the paper is Karun Singh, a postdoc at the Picower Institute. In a study published in 2009, Tsai and her colleagues showed that the DISC1 gene regulates a cell signaling pathway known as Wnt. This pathway has been found to stimulate stem cell proliferation during embryonic development. Most importantly in terms of psychiatric disease, Wnt signaling promotes the proliferation of neuroprogenitor cells, immature cells that eventually become neurons. Tsai and her colleagues showed that DISC1 regulates Wnt signaling by shutting off an enzyme known as Gsk3-beta. (Notably, Gsk3-beta is also the target of lithium, a common treatment for bipolar disease.) “We proposed in that paper that DISC1 is basically endogenous lithium, to maintain the integrity of Wnt signaling,” Tsai says. In the new Neuron paper, Tsai’s lab investigated the impact of DISC1 mutations in the human population. Together with researchers from the Stanley Center for Psychiatric Research at the Broad Institute, they sequenced the DISC1 gene in more than 700 people — about half of them had schizophrenia or bipolar disorder, the rest were healthy — and identified several variants of the DISC1 gene. However, none of those single mutations were significantly more common in the diseased population than the healthy population. “That suggests that DISC1 variants in humans, by themselves, do not cause disease,” Tsai says. The researchers picked out four of the most common DISC1 mutations and tested their effects in mice, zebrafish and human cells. It turned out that three of those variants do lead to impaired Wnt signaling. However, some of those mutations were found in healthy people, so they are not enough to cause disease on their own. The fourth variant did not affect Wnt signaling but did impair neurons’ ability to move to the proper location during brain development and form circuits with other cells. Albert Wong, an associate professor of pharmacology at the University of Toronto, says the findings represent “an important step forward” in understanding how DISC1 mutations can lead to abnormal brain structure and function. “This paper by Tsai's lab makes the crucial link between disease-associated human DISC1 variants and Wnt/Gsk3-beta signaling and brain development,” says Wong, who was not involved in this research. Tsai says it is not surprising that even though the genetic defects clearly cause some malfunctions at the cellular level, they do not always lead to disease. “The brain is really a remarkable organ. It’s just so plastic and has this enormous capacity to compensate for any kinds of defects,” she says. She expects that future studies will reveal other genetic mutations that are also necessary to produce schizophrenia and other psychiatric disorders. In the Neuron paper, the researchers also examined Wnt signaling levels in people with bipolar disease and found that they were much lower than in healthy people, suggesting that bipolar disease and schizophrenia may share some of the same origins. 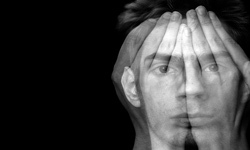 “A lot of genes implicated in schizophrenia are also implicated in bipolar. Now, biochemically, it seems to be the case as well,” Tsai says.